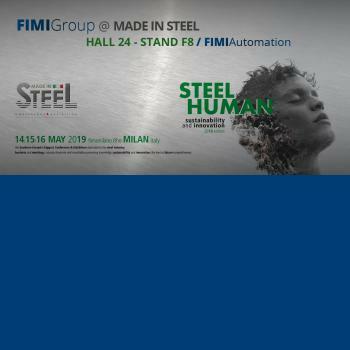 Adda Fer will be present at Made in Steel 2019, held at fiera milano Rho, Milan, from 14th to 16th May. Our team will be at Your disposal at Hall 24 - Stand F8 / FIMIAutomation. 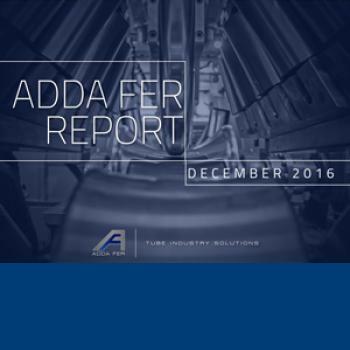 Adda Fer is pleased to announce the acquisition of a brand-new order in Poland, for the supply of an SB2 Flying cut-off. This Machine can cut steel tubes from 38 up to 60,3 mm diameter with thicknesses from 1,5 up to 3,2 mm, and it will replace an existing shear. The installation of the Cut-Off will be in Krakow by middle February 2019. 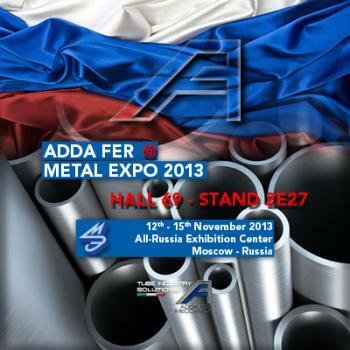 Adda Fer will be present at Metal Expo, held from 13th to 16th November in Moscow - Russia. Adda Fer team will be at your disposal at Hall 75 - Stand 2C09. 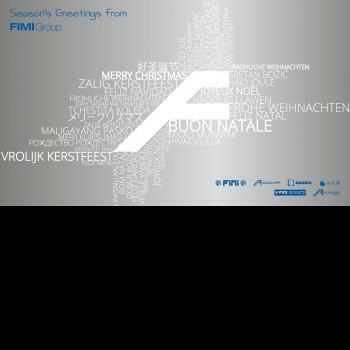 The growth of FIMIGroup continued with a new acquisition. 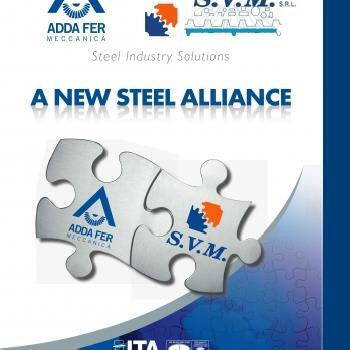 In fact, the company based in Viganò (Lc) has won the tender for Selema, an Italian company founded in 1980, a leader in the design and construction of processing lines for strips of non-ferrous materials, particularly specialized in aluminum. «This acquisition is also an important step for the growth strategy of our group – explains the CEO, Mr Antonio Pensotti -. We are proceeding along the path of the quality excellence in which have been placed also the previous acquisition of Sacma and the opening of the German subsidiary FIMI GmbH. Steps that are now giving the desired results ». After a satisfactory 2017 regarding the Ebitda, but with a turnover still weighted by the recent lackluster past, 2018 is set to be the year of the relaunching, with a turnover growth that is in the order of 35% - 40% and with the concrete possibility of both reaching and exceeding the amount of 45 million euros. «From a “wait-and-see” approach to the market – Mr Pensotti goes on – we moved more proactively towards our Customers, underlining our firm will to go on producing quality lines, regarding performance and technology, if not even increasing it, considering the automation projects we are working on. 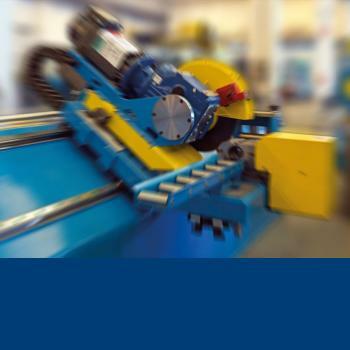 The positive results we are encountering in 2018 confirm the good work done so far; it is true that our order portfolio is already projected to 2019; moreover, the positive market situation following the cut in investments imposed by the crisis in 2008, is helping companies to renew or increase their machines’ fleet». A definitely positive contribution to the growth of the group has been also given by the opening of the German branch FIMI GmbH, located in Hagen and specializing above all in Service and lines’ maintenance. «Since the announcement of its opening – adds Mr Pensotti – we have had an immediate response from the main steel producers in the German market. 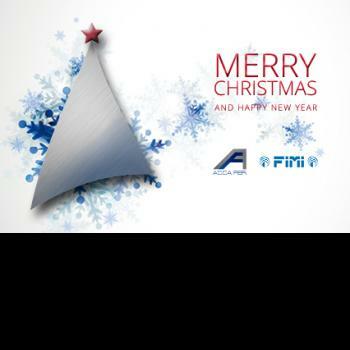 They knew FIMI brand very well, but they wanted a more direct presence on the territory. An interest that has already been translated into job opportunities that we think can only be the beginning of a growing trend». Referring to the acquisition of Selema, this is an important step for FIMIGroup, also in view of a diversified increase in its range of products. The thicknesses processed by Selema lines are in the 10 µm – 4 mm range for the whole kind of processed alloys. «This acquisition – explains the Group’s Technical Director, Ing. Giulio Magnani – allows us to increase our skills both in processing aluminum thin sheets and in all the complementary technologies also for which Selema was always at the top. The company has developed, patented, produced and put into operation lines with a very high technological content, a real technical source file of tension-levelling lines and the degreasing lines still unique in the world for their production range and performance. 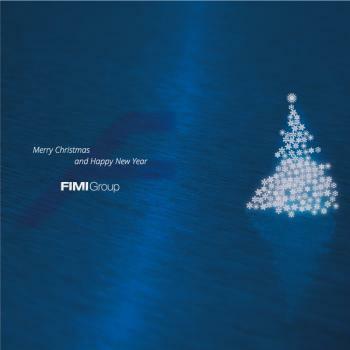 Despite this uniqueness, the great technical professionalism within FIMIGroup has the possibility to integrate this new know-how in a very short time and to offer it on the market even now». «Our development strategy continues, and always with only one password “competitive quality”. This is the direction in which all undertaken actions and acquisitions are going» concludes Mr Pensotti. MetalExpo Eurasia, we are coming! 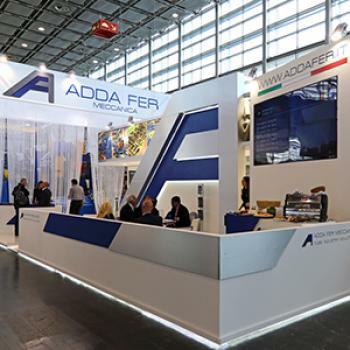 Meet Adda Fer at Istanbul Expo Center from 12th to 15th September at Hall 10, stand 8 R.
Write to info@addafer.it and book a meeting with our technicians! 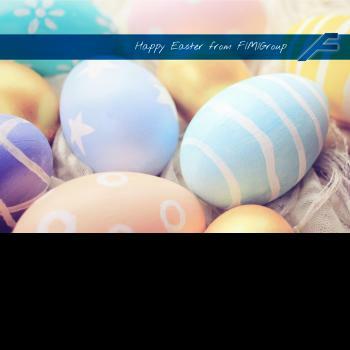 Adda Fer and FIMIGroup wishes to everyone happy Easter! 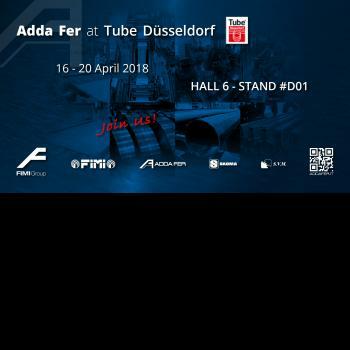 ADDA FER will be present at Tube Düsseldorf, held from 16th to 20th April in Düsseldorf - Germany. As for previous editions ADDA FER will show some new products. Holders and their staff will be at your disposal in Hall 6 - Stand D01. 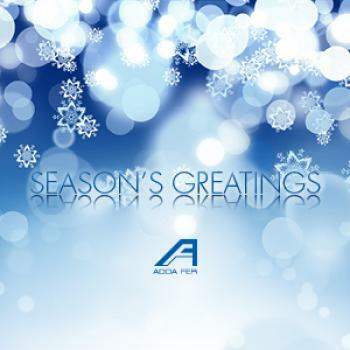 Adda Fer wish you a wonderful Holiday Season and a happy and prosperous 2018! carbon steel, stainless and high strength steel, prepainted steel, aluminium, copper and brass coils. 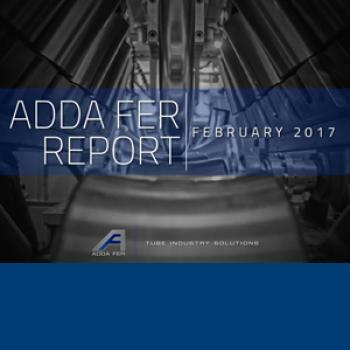 The latest "Adda Fer | Report" issue is on-line now! Read or download it here! 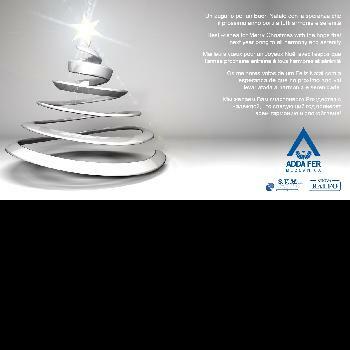 Contact us at sales@addafer.it for any further information. 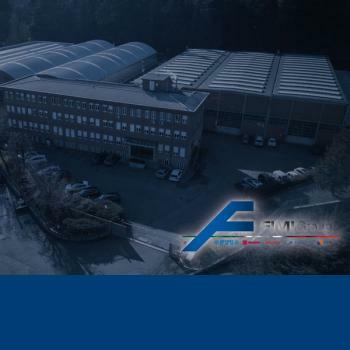 Adda Fer Meccanica has the pleasure to inform about its recent entry in the capital of Fimi SpA, a leader company in the design and construction of Metal Coil Slitting and Cut-to-Length Lines. This operation aims to a strong asset consolidation and a strategic expansion of products and markets. 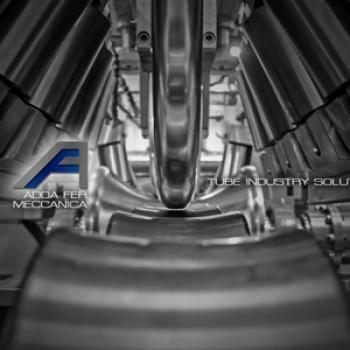 Founded in 1990, Adda Fer Meccanica is a leading company in the design, construction and installation of lines and machines for the production of welded pipe and sheet metal working. With extensive know-how and a clear orientation towards the international market, Adda Fer Meccanica has installed several lines worldwide increasing thus popularity of its brand, which has become synonymous of quality and reliability. 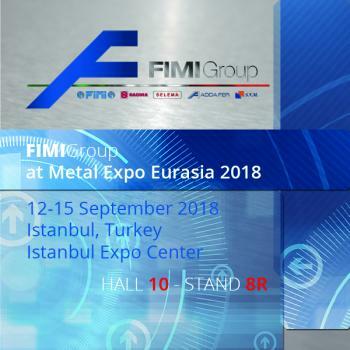 FIMI SpA ranks among the top five companies in the world in the field of metal strips and sheets processing lines; in fact, since 1963, FIMI has successfully designed, manufactured and installed lines for leveling and cutting of metal coils. FIMI SpA has a recognized leading position in Europe with always growing sale results; not least is the position occupied by the company in other countries such as China, India and Russia. FIMI SpA sells for 80% abroad, mainly in Europe, with significant percentages in Russia, China, Southeast Asia and Latin America. The number of lines realized and delivered to customers all around the world is rapidly approaching to reach the goal of 1000 units. The result of such an operation creates an added value that will generate revenues over 50 mln EUR in next year 2017, employing 150 people, 20 of which fully engaged and dedicated to Research & Development activities. Through a powerful synergy of technical and technological skills and experience the new reality offers to the market a wide range of products and solutions able to meet the most demanding and diverse applications. The entrance into Fimi by AddaFer represents an opportunity for a unique development in this market field, with positive effects for the whole market segment. Adda Fer and Fimi share their own heritage in term of know-how, experiences and skills for innovations and make all this available at the service of their prestigious customers in tight cooperation with them to fulfill the business development. The Business Plan envisages an administrative reorganization process as well as the continuity and consolidation of the technical branch but first of all growth, both in terms of turnover and investments. Then special impulse will be given to Service with the aim to guarantee speed, competence, and responsiveness in a vital segment for the customers. International Development will also occur through the strengthening of the commercial network which already operates in several countries in the world. 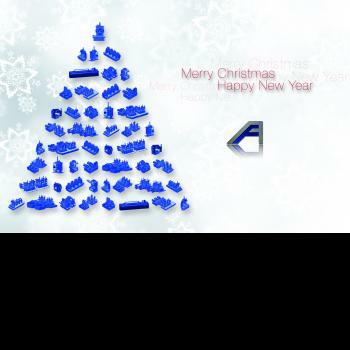 Merry Christmas and happy new year from Adda Fer! 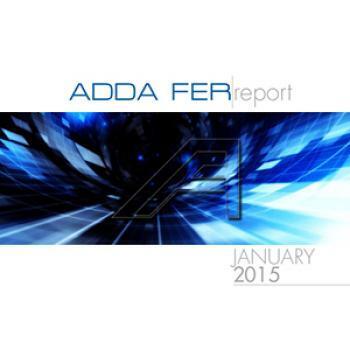 The latest release of "Adda Fer Report" is on-line now! 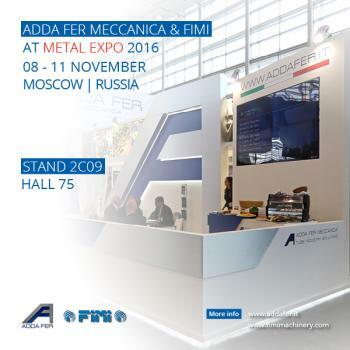 Adda Fer will be present at next Metal Expo 2016, held from 8th to 11th November in Moscow - Russia. It will be the fifth edition where Adda Fer will present new products. Holders and their staff will be at your disposal in Hall 75 - Stand 2C09. 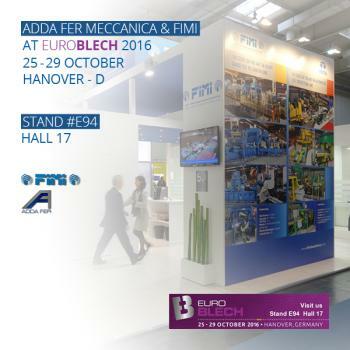 Adda Fer will be present at next EuroBlech 2016.
and Adda Fer staff will be glad to meet you at Hall 17 - Stand E94. Adda Fer would like to thank you all for taking your time to visit our booth during Tube & Wire 2016 in Dusseldorf. It was a pleasure to meet you personally, giving us the great opportunity to share and exchange our thoughts and experiences with you all. 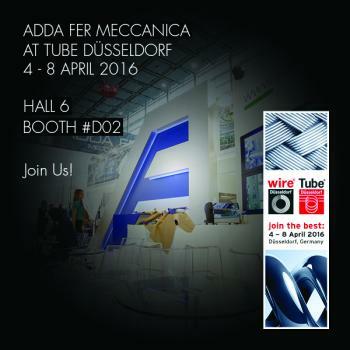 Adda Fer will be present at Tube Dusseldorf 2016, held from 4th to 8th April in Dusseldorf - Germany. 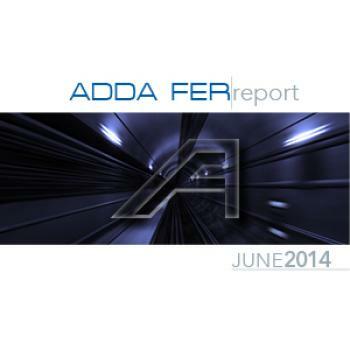 It will be the fifth edition where Adda Fer will present new products. Holders and their staff will be at your disposal in Hall 6 - Stand D02. 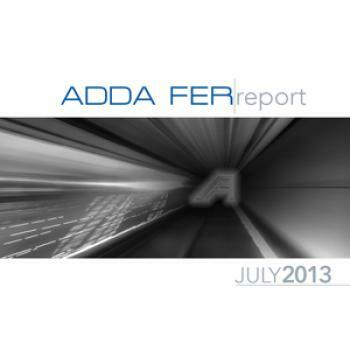 The new release of "Adda Fer | Report" is on-line now! 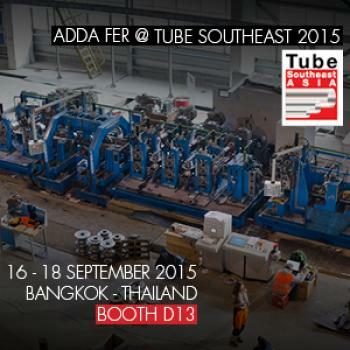 Adda Fer will be present at next Tube Southeast Asia 2015.
and Adda Fer staff will be glad to meet you at Booth D13. 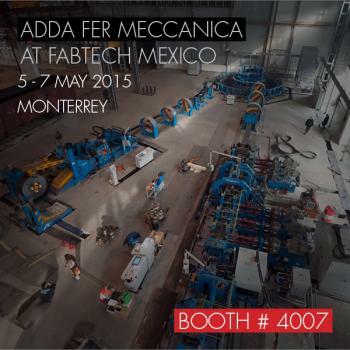 ADDA FER Meccanica will be present at next Fabtech Mexico 2015. The exhibit will be from 5 to 7 May 2015 in Monterrey Mexico. Adda Fer will be glad to meet you at Booth 4007. 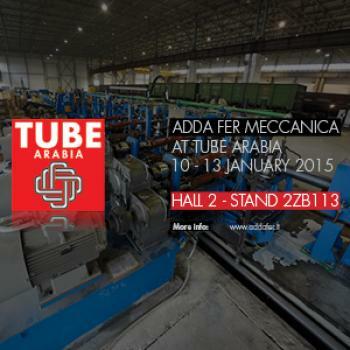 ADDA FER Meccanica will be present at next Tube Arabia 2015. Convention & Exhibition Centre - Dubai - UAE. Adda Fer will be glad to meet you at Hall 2 - Booth 2ZB113. 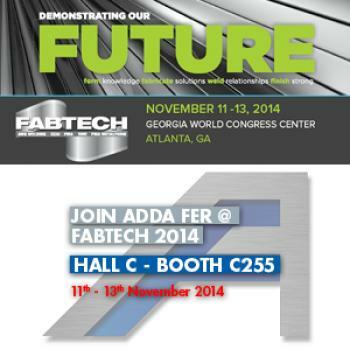 ADDA FER Meccanica will be present at next Fabtech 2014. The exhibit will be from 11 to 13 November 2014 in Atlanta - Georgia - USA. Adda Fer will be glad to meet you at Hall C - Booth C255. 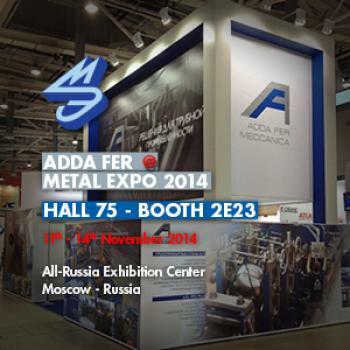 ADDA FER Meccanica will be present at next Metal Expo 2014. The exhibit will be from 11 to 14 November 2014 in Moscow - Russia. Adda Fer will be glad to meet you at Hall 75 - Booth 2E23. 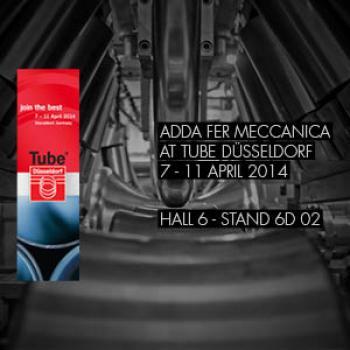 Adda Fer Meccanica thanks the over 600 visitors, friends and customers of Tube Dusseldorf 2014 for the friendship, trust and loyalty showed during the exhibition. 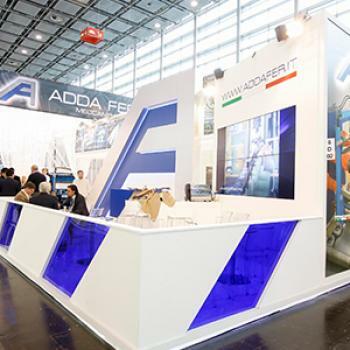 Tube Dusseldorf 2014 has established the success of Adda Fer Meccanica that has been growing thanks to a vin-to-vin strategy implemented in the last decade that bases its foundations on quality, technological innovation and customer service. All of this has allowed the organisation to become the ideal and trustable partner for the design, manufacture and installation of complete tube-mills: from slitting lines, tube-mill to produce API tubes up to 16”, automatic-packing systems, hydro-test and end-facing. 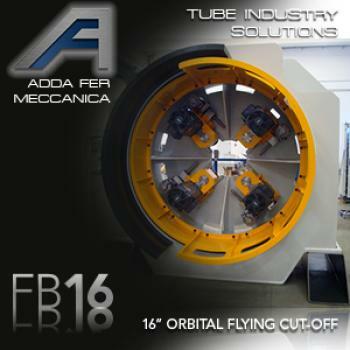 It is now four editions that Adda Fer brings new innovative products showing to the tube industry its own technological development and competitive edges and in this year Adda Fer aimed to bring the attentions to the latest evolution of its Flying Cut Off that have 2 independent blades programmable for two different tube’s profiles for tubes up to 10”; Four Blade Orbital Flying Cut Off for API tubes up to 16” and 20mm of thickness; Full Automatic strip joint bench with 5° diagonal cut; Welding Head with 4 rolls for tubes ranging from 3” to 8” with quick change system and in addition Linear Cage Forming motorised; Quick Change solution from breal-down, fin-pass and calibration in order to reduce setting changes. Adda Fer strongly believes that this great positive success trend showed in the last few years will follow as it has allowed the organisation to gain some very important projects at the world-wide scale, like: Russia, Kingdom of Saudi Arabia, Vietnam, United States of America and Mexico. 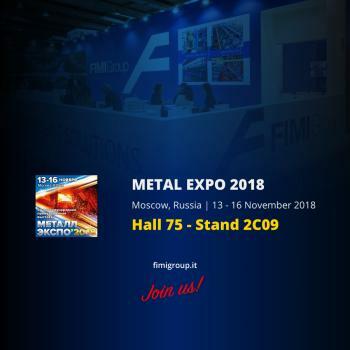 Adda Fer Meccanica will attend Metal Expo Russia 2014 and it will be happy to guess you again at its stand on the 11th of November 2014 in Moscow. 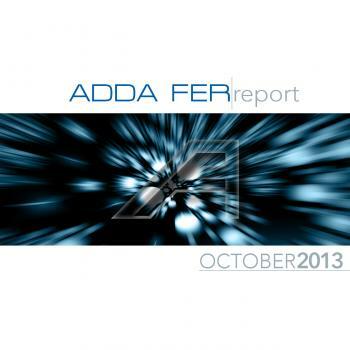 The new edition of the Adda Fer catalogue is now available and downloadable from our website. 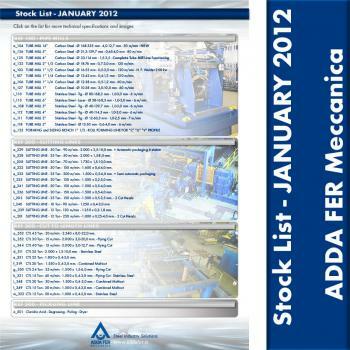 The catalogue shows the Adda Fer wide range of machines and plants for the production of electro-welded pipe and coil processing. ADDA FER MECCANICA will be present at next Tube & Wire 2014. - A welding head for tube lines up to 219.0 mm. diameter. 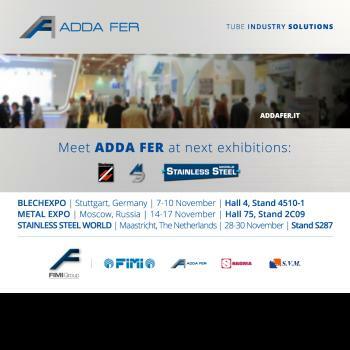 Holders and Adda Fer's staff will be glad to meet you in HALL 6 STAND 6D02 to provide information about and answer your questions. Last 27th and 28th of September Adda Fer Meccanica has had the pleasure to invite, at its headquarters in Mapello, some important delegations coming from different parts of the world, to give them the opportunity to take vision of the last lines and plants totally designed and manufactured by Adda Fer Meccanica itself. - Electro welded tube line A.P.I. TM10, for the production of pipes up to diameter 273 mm. and thickness 8.0 mm. - Electro welded tube line A.P.I. TM14, for the production of pipes up to diameter 355.6 mm. and thickness 12.7 mm. - Double blades flying cut off DB10, for the cut of pipes up to diameter 273 mm. and thickness 8.0 mm. - Four blades orbital flying cut off FB16, for the cut of pipes up to diameter 426 mm. and thickness 20.0 mm. Several important partners of Adda Fer Meccanica, involved in the supply of components for its machines, participated to the event. The decision to organize the Open House directly in the company, also gave the opportunity to the participants to see the advanced equipment used by Adda Fer for the design, construction and assembly of the various parts of its lines and plants. These two days have been very positives for the visitors, who were able to better appreciate the business philosophy and the method of production of the company, and for the Adda Fer team, who was able to better understand directions and requests of some of the leading tube manufacturers, in this particular moment of the market. Log here to consult a short photo gallery of the event. ADDA FER Meccanica will be present at next Metal Expo 2013. The exhibit will be from 12 to 15 November 2013 in Moscow - Russia. Adda Fer will be glad to meet you at Hall 69 - Stand 747. 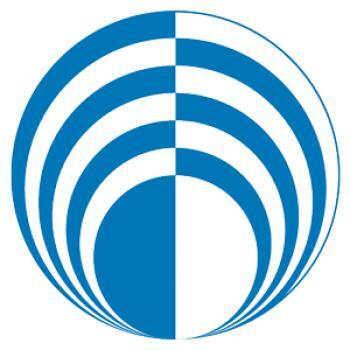 ADDA FER Meccanica will be present at next Tubotech 2013. The exhibit will be from 1st to 3rd October 2013 in Sao Paulo - Brazil. Adda Fer will be glad to meet you at Stand 747. ADDA FER MECCANICA, always attentive to the continuos changing needs of the market, offers a new medium of information. This report is meant to be a tool for those working in the field to keep update of the latest technological innovations that Adda Fer offers on the market. The report will have a quarterly basis, will be forwarded by e-mail, and will touch various aspects in the field of construction of plants and machineries for pipe and plate. It will also be an open window on the world of Adda Fer, with information relating to the installations of new plants, the company's initiatives and events. 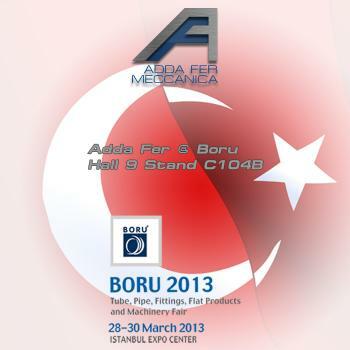 Adda fer Meccanica will be present at next Boru 2013. The exhibit will be from 28th to 30th March 2013 in Istanbul at Expo Center. 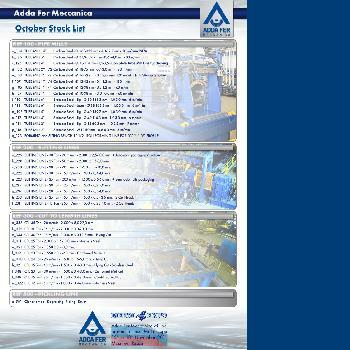 On-Line now our brand new Stock-List. Visit the Products section. 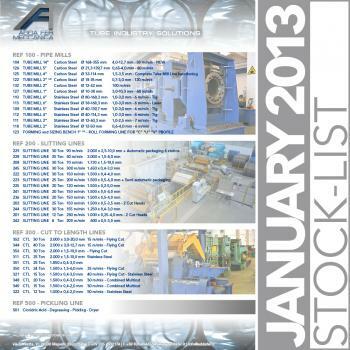 It is available now the new Adda Fer Stock-List for tube mills, slitting lines and cut to length lines. Read it at "Products - Stock-List" page on this website. We're at your disposal for any further information or for your inquiries. Adda Fer Meccanica Sales Dept. 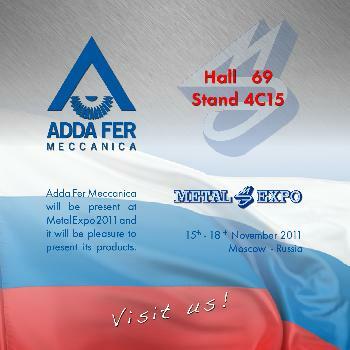 Adda Fer Meccanica announced its presence at next Metal Expo 2012 exhibition. The event will be from 13 to 16 Novembre in Moscow and Adda Fer will be pleased to meet you at stand 4A21, hall 69 Visit us! 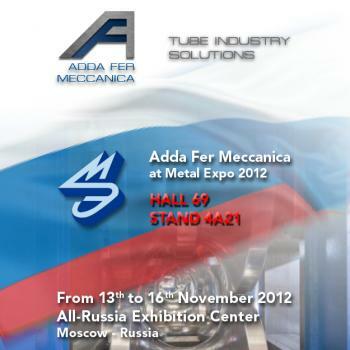 Adda Fer Meccanica announced its presence at next Tube Russia 2012 exhibition. 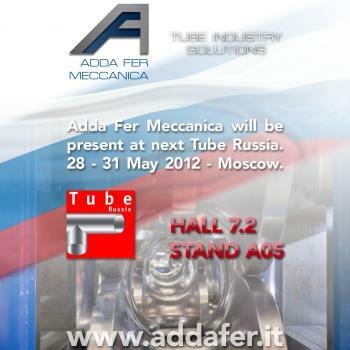 The event will be from 28 to 31 May in Moscow and Adda Fer will be pleased to meet you at stand A05, hall 7.2 Visit us! The Wire and Tube 2012 exhibition has started today in Dusseldorf and Adda Fer Meccanica waits for you in the hall 6 stand E10 to show you the new orbital flying cut off. 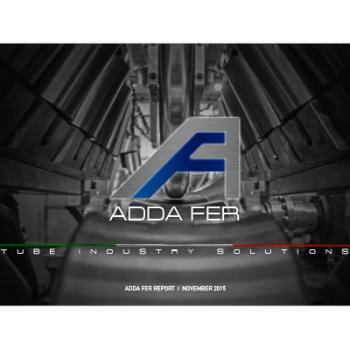 The newborn is at the top of the Adda Fer’s production line and used for the tube’s range beginning from 6 “ up to 16 ¾” (152.4 to 426 mm) and for all derived profiles. It is result of an innovative project that have brought us the solution of the head with 4 blades in order to ensure cut times adequate to the line speed on large diameters (over 8 “) and the possibility to work with 2 blades on the smaller sizes. Adda Fer' staff will be at your disposal to respond to every request till the end of the exhibition. 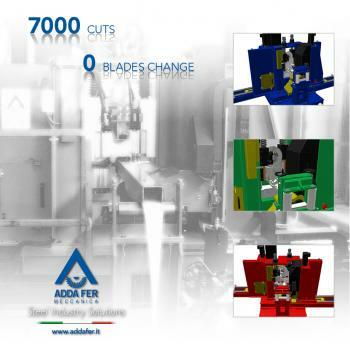 With the flying cut-off double blades shear designed by Adda Fer Meccanica, excellent results have been achieved. 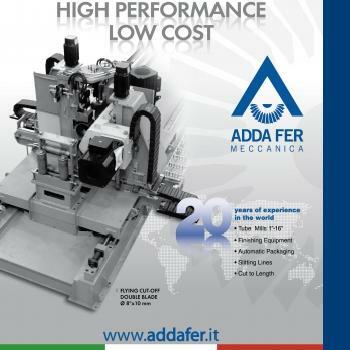 Thanks to the cooperation with the greatest blades manufacturers, the Adda Fer project office has improved the machine by increasing the cutting performances. The cuts planned in the project without blades changing in fact, have been largely achieved and exceeded. 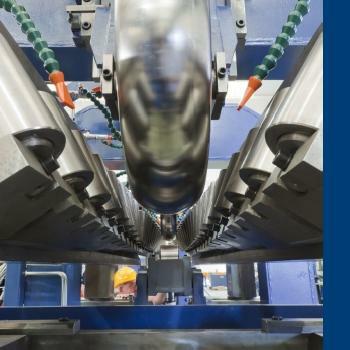 In the latest version of the cut off, the 7000 cuts have been passed without the need to change the cutting blades, significantly contributing to the increase of the tube line productivity, while maintaining a cutting quality which is superior to the standard. 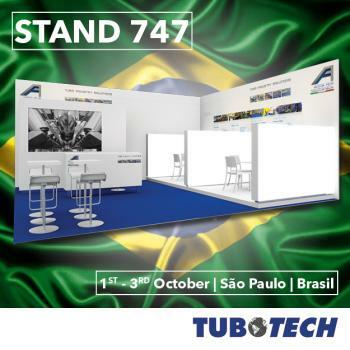 Adda Fer Meccanica, after the brilliant results obtained in Brazil at fair Tubotech held last 4, 5 and 6 October, announced the confirmation of its participation in the next Metal Expo in Russia. The event will be the next November from 15 to 18 in Moscow and Adda Fer will be pleased to meet you in Hall 69 at stand 4C15. Come and visit us! 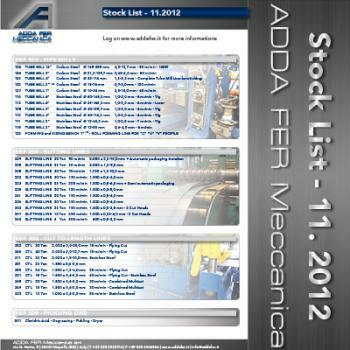 It is available now the new Adda Fer Stock-List for tube mills, slitting lines and cut to length lines. Visit the web page "Products" - "Stock-List". We're at your disposal for any further information or for your inquiries. Adda Fer Meccanica Sales Dpt. ADDA FER - JULY - STOCK LIST ON LINE! VISIT OUR WEB PAGE "PRODUCTS" > "STOK LIST", IS NOW AVAILABLE THE STOCK LIST FOR THE MONTH OF JULY. DO NOT HESITATE TO CONTACT US FOR MORE INFORMATION, OR FOR YOUR INQUIRIES. Adda Fer Meccanica Sales Dpt. 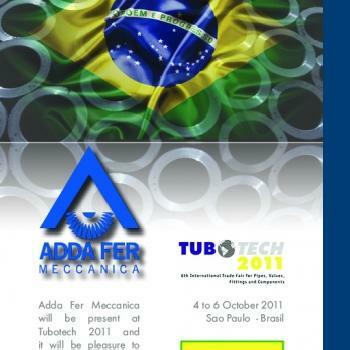 ADDA FER MECCANICA WILL BE PRESENT AT NEXT TUBOTECH 2011 FROM 4 TO 6 OCTOBER 2011 IN SAO PAULO, BRASIL. THEIR STAFF WILL BE AT YOUR DISPOSAL AT HALL 1, STAND 535. VISIT US! Meccanica Adda Fer srl, an important reality in the construction and sale of machines and plants for the electro welded pipes production and sheet processing, strengthens its international offer thanks to the acquisition of SVM srl, the historical society of Desio operating in the production of cold profiles and new pipe lines. The investment aims to a more significant presence on the market in order to satisfy customers’ needs, which are continuously evolving, and needs of those companies seeking a professional, reliable and technologically advanced partner. The operation has a strategic importance also from a point of view of strengthening the specific technical knowledge. Eighty years of experience characterize in fact the know-how of SVM technicians, who are today taking part to the Meccanica Adda Fer important structure. All that at the customers’ service. 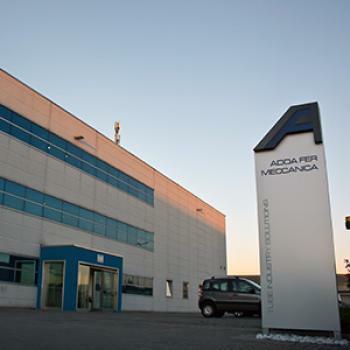 "This acquisition - said the Meccanica Adda Fer management - represents a strategic asset for our reality, in order to offer a better service and a greater know how in a market that is always evolving.” The all production has been moved to the 12.000 sqm industrial complex in Mapello (BG), where Meccanica Adda Fer has its head office and where the manufacturing plant, the assembly area, the warehouse and the showroom are placed. Meccanica Adda Fer, with its all staff, is proud to continue this story begun in the first part of the last century, and it is sure to provide technologically advanced solutions to SVM customers, in order to improve their fidelity. 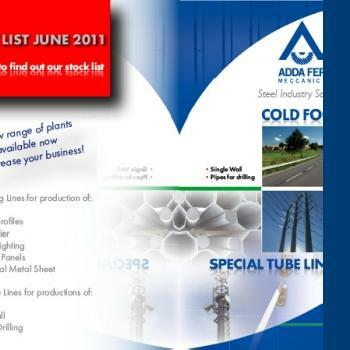 ADDA FER JUNE STOCK LIST ON-LINE NOW!!! 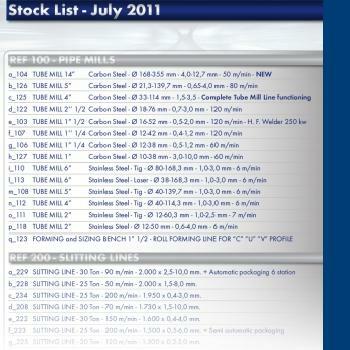 IN "PRODUCTS>STOK-LIST" ON OUR WEBSITE, IS NOW AVAILABLE THE UPDATED STOCK-LIST FOR THE MONTH OF JUNE. DO NOT HESITATE TO CONTACT US FOR MORE INFORMATION, OR FOR YOUR INQUIRIES. 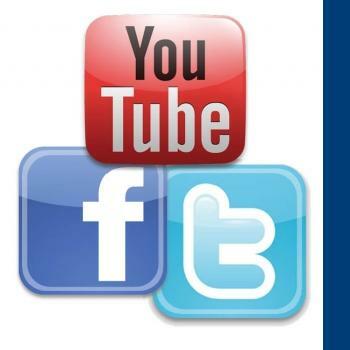 ON ADDA FER'S YOU TUBE CHANNEL, ARE NOW AVAILABLE SOME NEW VIDEOS FOR SOME OF OUR LINES RECENTLY INSTALLED. YOUTUBE ENJOY IT! 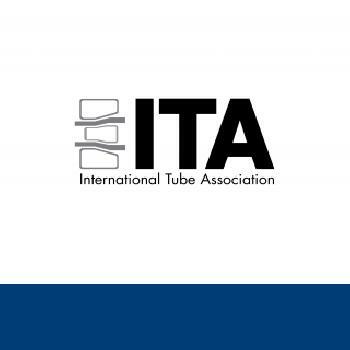 ADDA FER MECCANICA WILL BE PRESENT AT INTERNATIONAL TUBE 2010 AND IT WILL BE PLEASURE TO PRESENT ITS PRODUCTS. HOLDERS AND THEIR STAFF WILL BE AT YOUR DISPOSAL TO RESPOND TO EVERY REQUEST AT STAND 6B32.